1. you see a wall painted with White color and the first thought that strikes your mind is FFFFFF. For the not-so-geeky readers, #FFFFFF is the hexadecimal equivalent of White color. 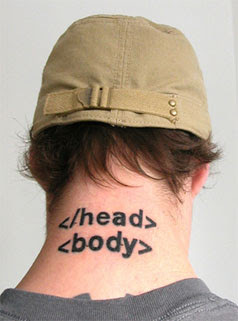 </head> denotes the closing of HEAD tag while <body> refers to the starting of BODY HTML tag. Both are mandatory in webpages.